I am grateful I can count on an author or an illustrator to finish my sentences every Friday. Stephanie Ruble is this week's special guest. We chatted about Ewe and Aye, flying, St. Paul, reading, and endpapers. I wrote the words in orange, and she wrote the words in black. Thank you, Stephanie! Ewe and Aye tells the story of a sheep (Ewe) who loves wheels and a lemur (Aye) who loves wings. They both dream of flying, but don’t get off the ground until they work together. I created the illustrations for Ewe and Aye with pencil, paper and a computer. Also, blood, sweat, and tears - okay, probably not blood, but there was sweat while worrying that I wouldn’t get the art done in time, because my computer died in the middle of final art, which caused a lot of tears and resulted in a new computer and finished art! (Note: I really wanted to finish that sentence by saying something like, “on the fly,” or, “with a wing and a prayer,” but I didn’t, because when Mr. Schu asks you questions, you shouldn’t just wing it.) That would have made me laugh out loud. 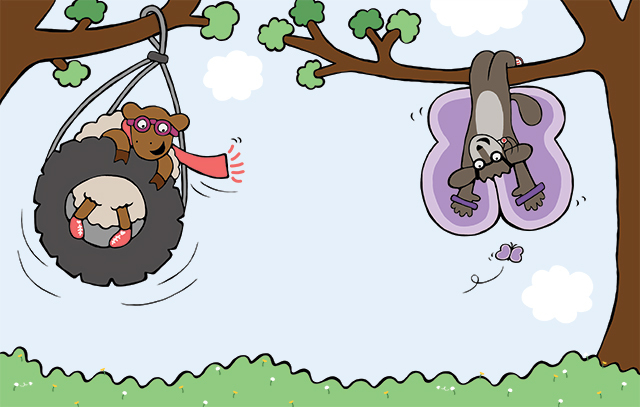 I wish I could fly, like Ewe and Aye! Wouldn’t it be awesome to be able to fly? I took ground school in college and got a little flight time, but didn’t get my pilot’s license. Maybe I should get a sheep and lemur to help me out, or a cape and superpowers. If you don’t mind, Mr. Schu, I’d like to share another, more heartfelt wish too. More than anything, I wish my mom had been able to be at my book launch. She was a children’s librarian and loved that I was going to have a picture book published. Unfortunately, she didn’t get to see the final published version of EWE AND AYE. I’m happy to say that she did get to celebrate my book deal, and also got to see the sketches, final art, and proofs from the publisher. It was wonderful to be able to share that process with her. 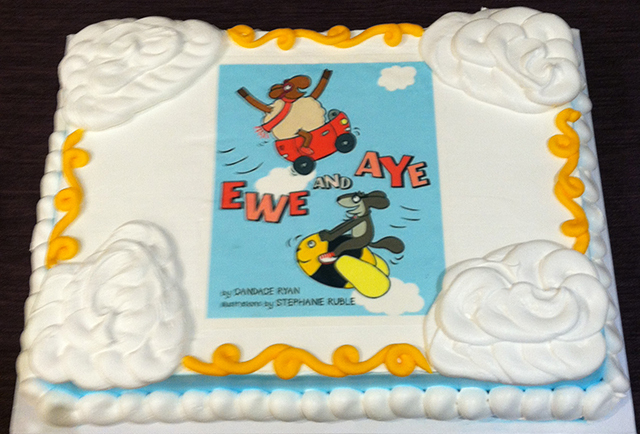 Red Balloon Bookshop is a wonderful children’s bookshop in St. Paul, Minnesota, where I had my launch party for EWE AND AYE. You should go there sometime. It has everything you could ever want in a children’s bookshop: the people are nice, the books are awesome, and if you have your launch party there, they might make you a cake with your cover on it. Reading is a transformative experience. There’s nothing better than getting lost in a story, learning something new, or experiencing lives and worlds that are different from your own. I still remember learning to read. I figured it out when I realized that my Dad’s name was on all the cards and packages waiting to be opened on his birthday. Once I started deciphering words, I couldn’t stop. It wasn’t long before I was reading books, the back of cereal boxes, and anything else I could get my hands on. 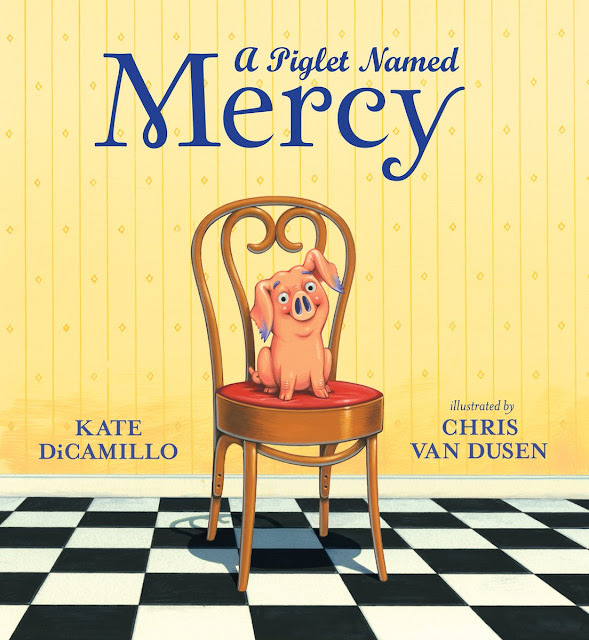 Picture books are a gateway to loving reading and art that stays with you. I remember the first time I encountered art from one of my favorite childhood picture books as an adult. There was an instant reaction of loving the art and wanting to read the book again right away. It’s been the same every time I see an old childhood favorite. I love picture books! Mr. Schu, you should have asked me about EWE AND AYE’s endpapers. 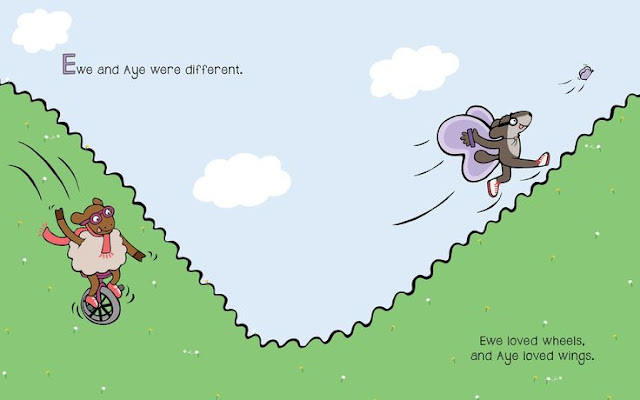 The front endpapers show Ewe and Aye on top of their houses dreaming, with a hint of their destination. 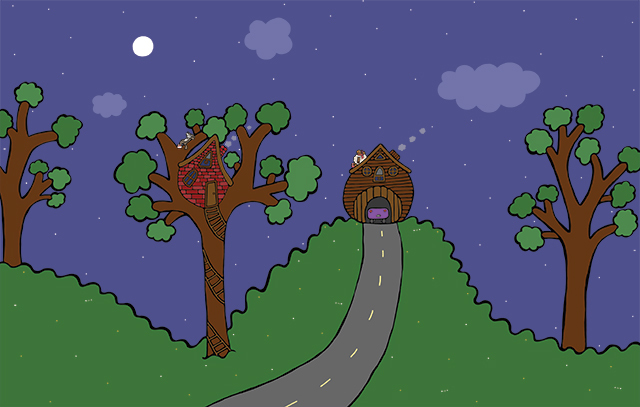 I had so much fun thinking about what kind of houses they would live in and how they would look. 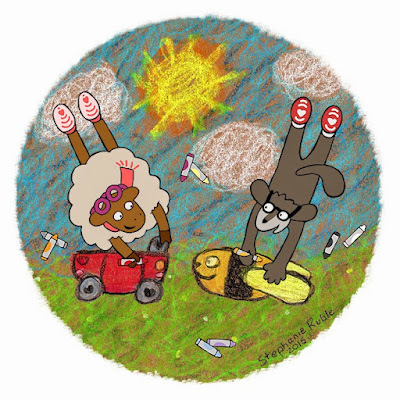 Ewe’s house is round, like the wheels she loves, and Aye’s house looks a bit like a wing, which is what he loves. The back endpapers show the realization of the dream from the front endpapers. 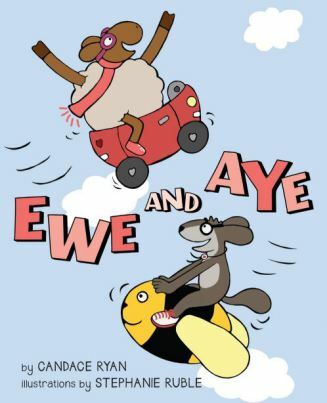 Borrow Ewe and Aye from your school or public library. Whenever possible, please support independent bookshops.